édité le 13/06/2017 - Plus de news de "BAKER HUGHES" - Voir la fiche entreprise de "BAKER HUGHES"
Baker Hughes Incorporated and General Electric Company announced that they have reached an agreement with the Department of Justice that would allow the parties to complete their proposed transaction under U.S. law. Today’s milestone represents significant progress toward creating an oil and gas productivity leader positioned to deliver value for customers, employees and shareholders. Baker Hughes (NYSE:BHI) is a leading supplier of oilfield services, products, technology and systems to the worldwide oil and natural gas industry. The company’s 32,000 employees today work in more than 80 countries helping customers find, evaluate, drill, produce, transport and process hydrocarbon resources. 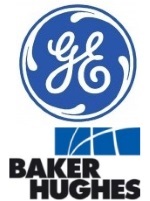 GE (NYSE:GE) is the world’s Digital Industrial Company, transforming industry with software-defined machines and solutions that are connected, responsive and predictive. GE is organized around a global exchange of knowledge, the "GE Store," through which each business shares and accesses the same technology, markets, structure and intellect. Each invention further fuels innovation and application across our industrial sectors. With people, services, technology and scale, GE delivers better outcomes for customers by speaking the language of industry.